Easily embed anomaly detection capabilities into your apps so users can quickly identify problems. Through an API, Anomaly Detector Preview ingests time-series data of all types and selects the best-fitting detection model for your data to ensure high accuracy. Customize the service to detect any level of anomaly and deploy it wherever you need it most. Azure is the only major cloud provider that offers anomaly detection as an AI service. Powerful inference engine looks at your time-series data set and automatically selects the right algorithm to maximize accuracy for your scenario. Automatic detection eliminates the need for labeled training data. Save time and stay focused on fixing problems as soon as they surface. Customizable settings let you fine-tune sensitivity to potential anomalies based on your business’s risk profile. Fast-track your problem solving with simple setup in the Azure portal and real-time anomaly detection. All it takes is three lines of code. 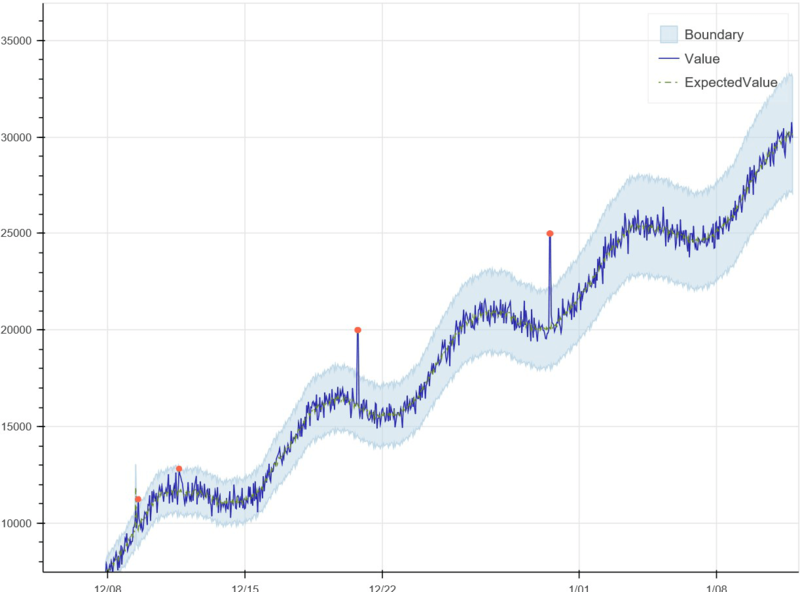 There are many types of time-series data—and no one algorithm fits them all. Anomaly Detector looks at your time-series data set and automatically selects the best algorithm from the model gallery to ensure high accuracy for your specific scenario: business incidents, monitoring IoT device traffic, managing fraud, responding to changing markets, and more. 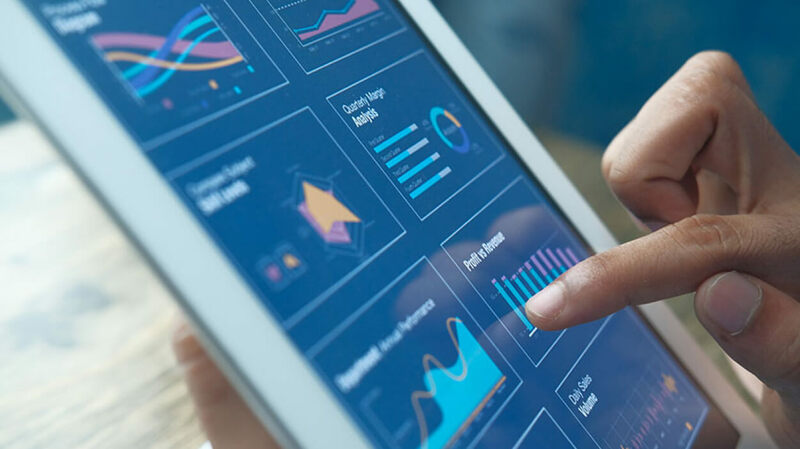 Monitor your product and service health, and deliver reliable customer experiences, using the same anomaly detection service that more than 200 Microsoft product teams rely on. Microsoft invests over $1000000000 annually on cyber security research and development. We employ more than 3500 security experts who are completely focused on securing your data and privacy. Learn more about our compliance and certifications. Learn how to embed anomaly detection capabilities into your apps. See how Anomaly Detector is different from other anomaly detection models and solutions. Adjust the risk sensitivity of the anomaly detection algorithm using a single parameter. Where is Anomaly Detector available? Anomaly Detector is available for preview in West US 2 and West Europe. The Anomaly Detector service will be available in all Azure regions upon general availability. What’s the SLA for Anomaly Detector? Anomaly Detector provides a 99.9 percent service-level agreement (SLA). Where can I receive the API endpoint for Anomaly Detector? You receive the API endpoint to use for the API call in the Azure portal when you create the Anomaly Detector resource. What’s the minimum number of data points needed for each call to the Anomaly Detector API? Functionally, the minimum number of data points in each API call is 13. However, to achieve optimal results for time series with hourly or daily granularity, you need four weeks of data plus one week—for example, 29 data points for daily data and 673 data points for hourly data. For minute-level data, you need at least 1,440 data points. What’s the maximum number of data points that can be included for each call to the Anomaly Detector API? You can put up to 8,640 data points in the API request. However, to achieve optimal results for time series with hourly or daily granularity, you need four weeks of data plus one week—for example, 29 data points for daily data and 673 data points for hourly data. For minute-level data, you need at least 1,440 data points. Is Anomaly Detector stateless or stateful? Where is the data that’s posted to the API stored? Anomaly Detector doesn’t store customer data.